Summer is there and some of the most worn jewellery are made of turquoise and coral – the colors are great, they even match well (in my opinion) and they are so “summery”! So let’s see what these two beautiful pieces have to say to us! Coral is of organic origin and can be used to reconnect with nature. It seems that coral is good to attract love and prosperity, as red coral is a stone of passion. Creativity and optimism are also qualities that coral trigger, as well as inner peace and strength. Coral is used for healing, blood and circulatory systems, kidney, bladder, epilepsy and eye problems. It’s, of course, something connected to spiritual uses, not medical ones. 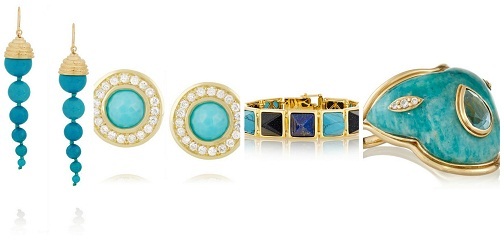 Turquoise helps communication between the heart and the spoken word. 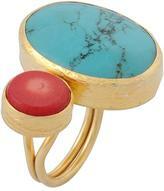 Psychology says that turquoise controls and heals emotional balance and stability. It radiates peace, calm and tranquility and it is also uplifting. This color recharges our spirits during times of mental stress and tiredness and makes feelings of loneliness getting better. If you focus on the color turquoise you can instantly feel calmer and invigorated, ready to face the world! It also helps with clear thinking and decision-making. It also builds confidence, creativity and sensitivity, intuition and inner-growth and healing, as it enhances empathy and caring. 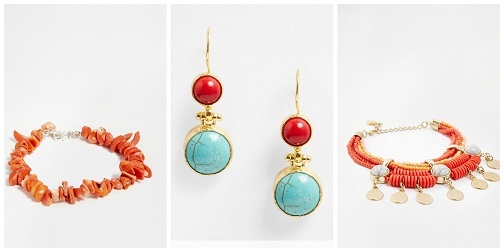 So choose your coral and turquoise pieces of jewellery and enjoy all their benefits!